Considered for a Pulitzer Prize for his recent book "1177 BC," Dr. Eric H. Cline is Professor of Classics and Anthropology and the current Director of the Capitol Archaeological Institute at The George Washington University. He is a National Geographic Explorer, a Fulbright scholar, an NEH Public Scholar, and an award-winning teacher and author. He has degrees in archaeology and ancient history from Dartmouth, Yale, and the University of Pennsylvania; in May 2015, he was awarded an honorary doctoral degree (honoris causa) from Muhlenberg College. 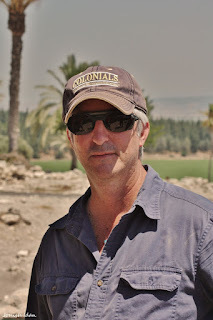 Dr. Cline is an active field archaeologist with 30 seasons of excavation and survey experience.